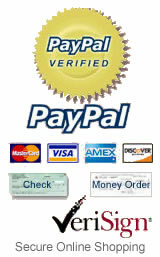 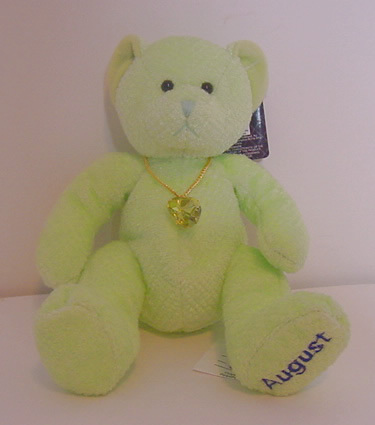 TreasureBears.com is pleased to offer the Bears Of The Month Collection exclusively from Russ Berrie. 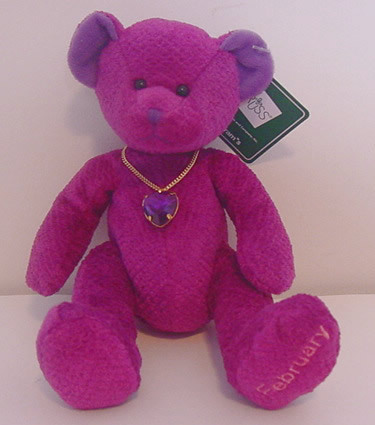 These adorable bears of the month make gift giving easy. 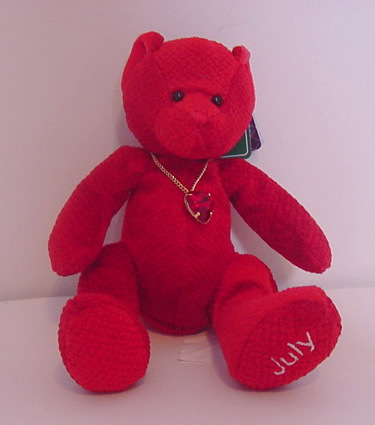 Everyone loves to receive a bear, and now you can personalize your gift-giving by selecting the month by birthdate. 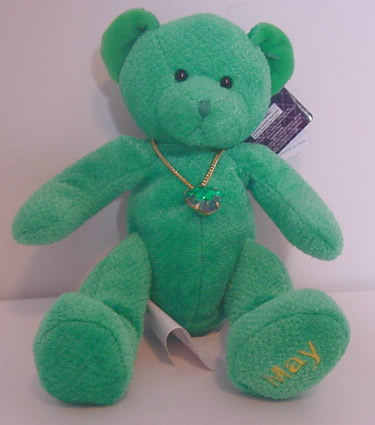 Each of these special bears is a unique color and features a necklace bearing their particular birthstone. 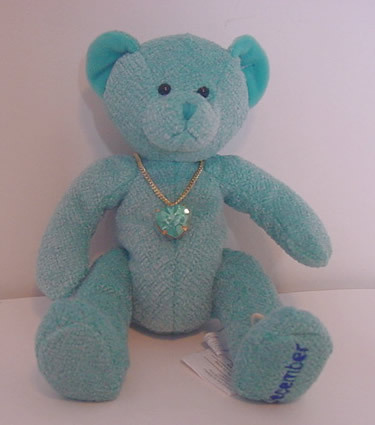 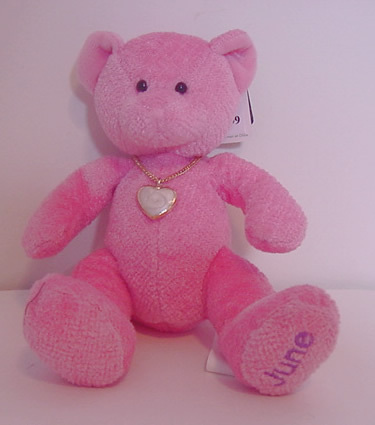 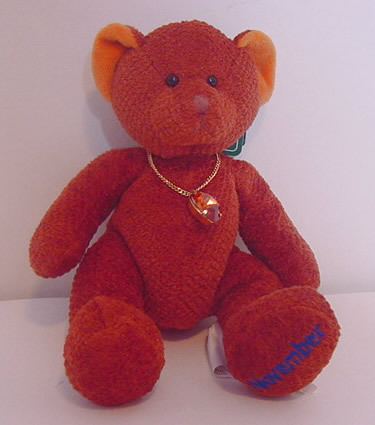 The large size birthstone bears wear a pendant with a faux birthstone, have beanbag bodies and the month stitched into the bottom of their left paw. 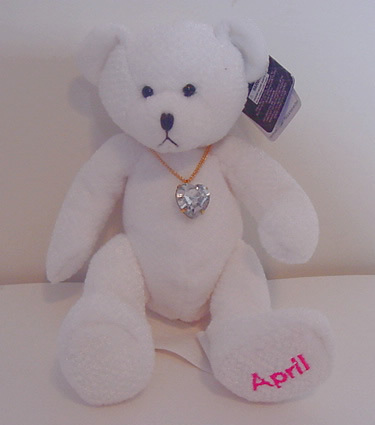 The tag attached gives the name of the birthstone and describes the characteristics of those born within the month. 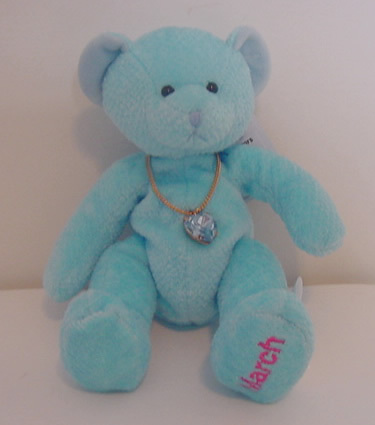 The smaller size birthstone bears wear a pendant with a faux birthstone, have the month & birthstone on the front of the box with description of characteristics of those born within the month printed on the back of the box. 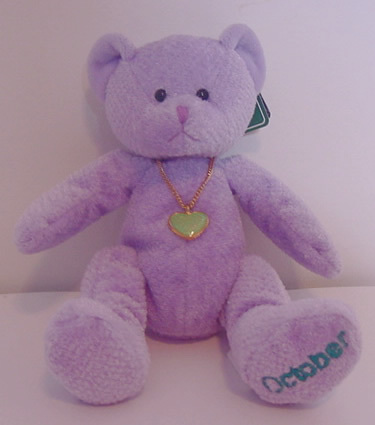 Note: Bears of the Month have now been retired and are no longer being produced. 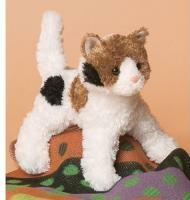 These are truly limited quantity - and quickly becoming collector's items! 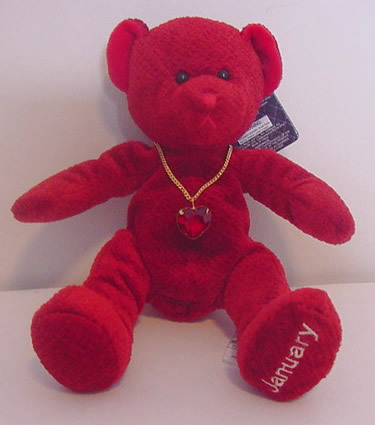 If you still want one of these special bears, hurry and pick up one (or more!) 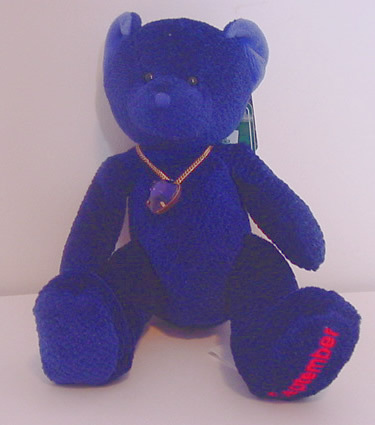 of the last remaining ones in stock. 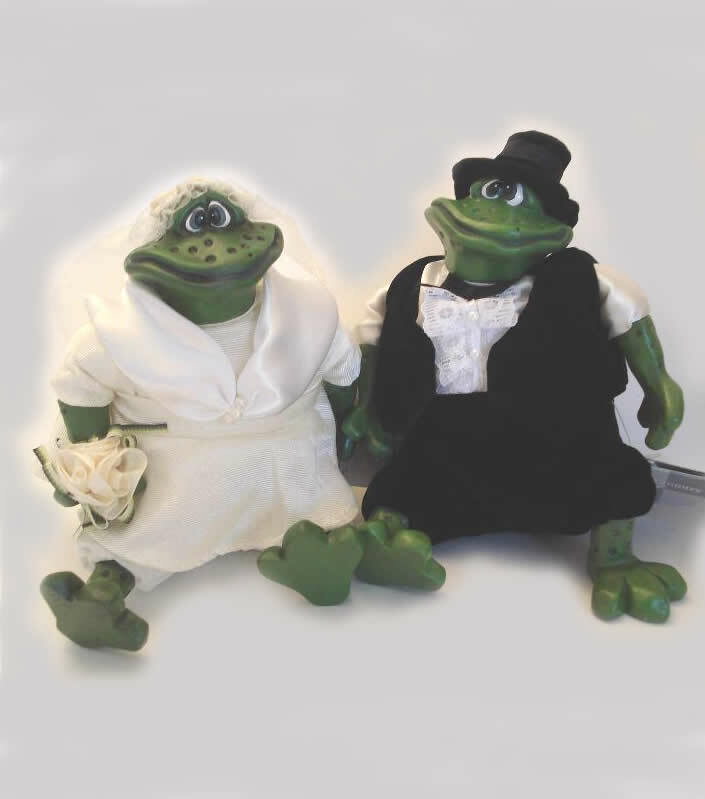 When they're gone, they're truly gone!